Are you troubled with worry lines, frown lines, laugh lines, or crow’s feet? At Serrão Rejuvenation Center, Dr. John Serrão – a board certified gynecologist and post-graduate trained cosmetic surgeon specializing in facial rejuvenation – offers Botox®, Xeomin® and Dysport® (botulinum toxins) for women in Orlando, Winter Park, and the surrounding areas of Florida. Have you ever thought about having some Botox® injections? Many women solve these problems with neuromodulator injections using Botox® Cosmetic, Dysport® or Xeomin®. Botulinum toxin (Type A) is a cosmetic injection using a micro-needle to administer the neuromodulator to block the nerve signals that cause muscles to contract. This effect relaxes and smooths the look of lines and wrinkles (dynamic wrinkles) caused by repetitive movements on the face — most commonly, between the brows, crows-feet around the eyes, dimples on the chin, bunny lines near the nose, and horizontal forehead creases. Botulinum toxin is also used cosmetically to balance facial asymmetry, relax tight neck bands and soften strong jaws, as well as medically to reduce perspiration and to treat migraine headaches and muscle spasticity. Treatments are individualized based on Dr. Serrão’s assessment of facial muscles and movement. The amount of medication required is individually determined and the patient is charged only for the number of units required. The treatment generally lasts three to four months, but over time, less medication is needed, and the durations of effect can increase. The results of these neuromodulators will last approximately three to four months. Used for nearly 20 years, Botox® is a safe and effective way to reduce facial wrinkles. Deep lines between your eyes (glabella area) make you look tired, angry, sad, or upset. Dr. John Serrão is an expert injector who understands the art of facial rejuvenation with neuromodulators. He takes pride in creating natural appearing results with a look of subtle perfection. Dr. Serrão possesses good judgment and is conservative in his approach of facial rejuvenation. Your Botox® injections will be performed by Dr. Serrão and will not be performed by his assistant. 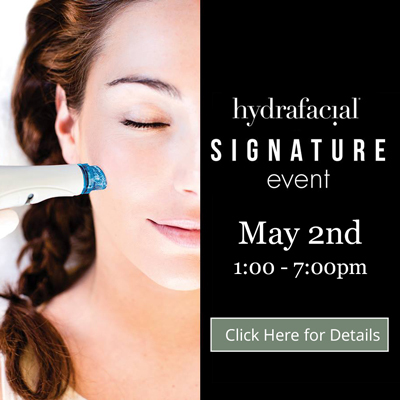 Women from around the world seek his skill and artistry for facial rejuvenation procedures. Learn more about Botox®, Xeomin® and Dysport® (botulinum toxins) for women in Orlando, Winter Park, and the surrounding areas of Florida. Contact Serrão Rejuvenation Center to schedule a consultation and begin your rejuvenation today with Dr. Serrão, a board certified gynecologist and post-graduate trained cosmetic surgeon specializing in facial rejuvenation. Are you troubled with worry lines, frown lines, laugh lines, or crow’s feet? 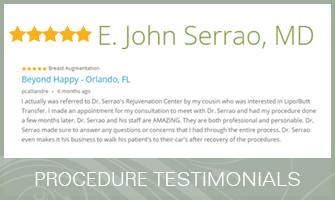 At Serrão Rejuvenation Center, Dr. John Serrão offers Botox®, Xeomin® and Dysport® (botulinum toxins) for men and women in Orlando, Winter Park, and the surrounding areas of Florida. Dr. Serrão is a board certified gynecologist and post-graduate trained cosmetic surgeon. Have you ever thought about having some Botox® injections? Many women (and men) solve these problems with neuromodulator injections using Botox® Cosmetic, Dysport® or Xeomin®. Learn more about Botox®, Xeomin® and Dysport® (botulinum toxins) for men and women in Orlando, Winter Park, and the surrounding areas of Florida. Contact Serrão Rejuvenation Center to schedule a consultation and begin your rejuvenation today with Dr. Serrão, a board certified gynecologist and post-graduate trained cosmetic surgeon. What Are Botox® Cosmetic, Dysport® and Xeomin® Treatments Like? These treatments are quick, simple, safe, and with minimal pain — most patients call them a slight crunch sensation. Neuromodulator treatments generally take about 15 to 30 minutes and are performed in our office by Dr. John Serrão. Using a tiny micro-needle, Dr. Serrão injects a minute amount of the neuromodulator very precisely into several locations on the face. With a Botox Cosmetic®, Dysport® or Xeomin® treatment, no sedation or local anesthetic is required, and you can resume most non-strenuous activities immediately. You can even drive yourself home or back to the office. Results normally appear in a few days after the injection with a full effect at 10 to 14 days and generally last around three to four months. A small number of tiny intramuscular injections block the body’s natural chemicals (neurotransmitters) that stimulate the muscles to contract and create the appearance of lines due to overactive facial muscles. They take several days to relax the muscles and the effects of treatment typically lasts three to four months. Even though these muscles have been treated and are relaxed, they still can contract in a normal fashion, allowing normal facial expression to be unaffected. There can be some mild discomfort during a Botox® Cosmetic, Dysport® and Xeomin® treatment that some describe as feeling like mild bug bites or a crunch sensation. Generally the procedure is performed without any anesthesia. Some people may experience mild, short-term bruising at the injection site and covers easily with make-up. Ice packs after treatment can help minimize bruising. Some people may notice a mild headache, which can be simply treated with Tylenol. In rare cases (1-2 percent), the Botox® Cosmetic, Dysport® & Xeomin® injection can spread beyond the desired area causing a drooping of the lid or brow. It is important to note that there have been no reports of permanent side effects with the use of neuromodulators for facial wrinkles. What Should I Expect from Botox® Cosmetic, Dysport® and Xeomin® Treatment? After treatment, you can continue with all of your activities the day following the injection. The degree of improvement varies from person to person, and the maximum results are seen five to seven days after treatment. The results normally last for around three months. With subsequent treatments, the results tend to last longer. The treatment will need to be repeated to maintain the result. What Are the Pre- and Post-Treatment Instructions for Botox® Cosmetic, Dysport® and Xeomin®? Avoid use of any medications, including OTC remedies or supplements that contribute to thinning of the blood preferably for two weeks prior to your procedure. Examples of these products are: aspirin, NSAIDs (ibuprofen, naprosyn, etc. ), Vitamin E, St. John’s Wort, Bilberry, Dong Quai, Feverfew, Fish Oil, Garlic, Ginger, Ginkgo Biloba, Ginseng, and Red Clover. If you have any questions, contact the office for clarification or consult with your pharmacist. Do not lie down or go to sleep for about four to six hours after your injection. Be careful about bending over; it is important to bend at the knees and keep your head up. Refrain from exercise or any activity that increases your heart rate or blood pressure for two days. Do not wipe/wash the face downward; gently wash upwards for two days. What is the Cost of Botox® Cosmetic, Dysport® and Xeomin®? What is the Downtime of Botox® Cosmetic, Dysport® and Xeomin®? There really is no downtime with the use of a neuromodulator. A small percentage of patients may develop minor bruising that can usually be covered with makeup. Patients should avoid exercise for 24 to 48 hours after the procedure. Otherwise, patients can return to work and resume normal activities. Creating a natural-appearing face requires artistry, good judgment, and excellent technique. Dr. Serrão takes pride in creating natural appearing Botox® results, and is sought after by patients from around the world for his facial rejuvenation procedures. Who is a Candidate for Botox® Cosmetic, Dysport® and Xeomin®? The best candidates for neuromodulator injections are patients in good health with realistic expectations and want to improve the appearance of the face without major surgery. It is the most popular cosmetic procedure done in the world! How Do I Learn More About Botox® Cosmetic, Dysport® and Xeomin®? Schedule a consultation to learn more about Botox® Cosmetic, Dysport® and Xeomin® treatments. The educational consultation is of great importance at Serrão Rejuvenation Center and our patients find it to be very informative. You will meet our caring team and tour our state-of-the art facility and AAAHC-accredited surgical center. Dr. Serrão and his cosmetic nurse, Larissa, are dedicated to answering all of your questions and will make you feel comfortable with their friendly demeanor. After reviewing your medical history, Dr. Serrão will listen to your concerns and expectations, perform a complete assessment, and educate you on the options that you have based on his expert recommendations. Together, you will develop a treatment plan that will fit your lifestyle and budget. You may chose to schedule the procedure at the time of your initial consultation, or you may decide at a later time. The consultation is about 30 minutes to one hour and the applicable fee will be applied towards the procedure or any purchase in our practice. Whatever your decision, it will be our pleasure to assist you in any way that we can.